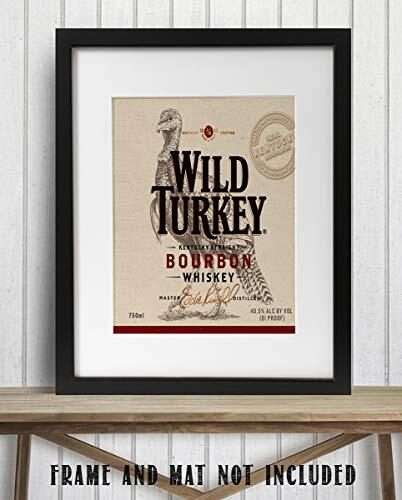 Wild Turkey Bourbon Label- Wall Art Sign- 8 x 10"-Genuine Replica Print-Ready to Frame. Home Décor-Dining Décor. A Must For Kentucky Bourbon Whiskey Fans. 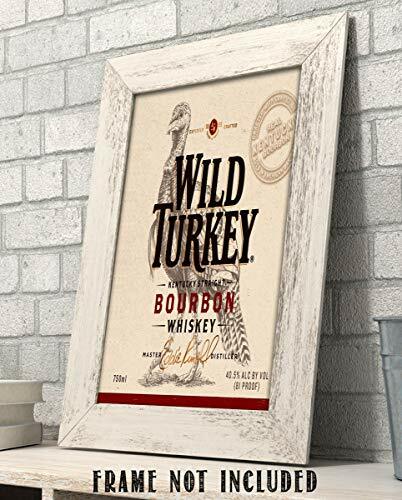 Perfect Addition To Man Cave-Dorm-Bar-Garage. Product prices and availability are accurate as of 2019-04-23 10:53:28 EDT and are subject to change. Any price and availability information displayed on http://www.amazon.com/ at the time of purchase will apply to the purchase of this product. ALG Art Prints come UNFRAMED. The preview images are examples of what the art prints will look like when framed. Of course, add your own decorator flair and we would love you to email pictures of how great they look in your place! 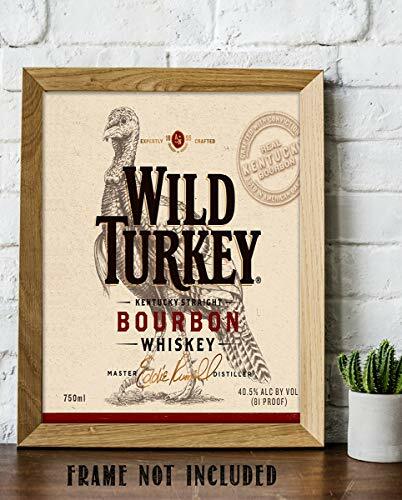 Wild Turkey Bourbon Label- Wall Art Sign- 8 x 10"-Genuine Replica Print-Ready to Frame. 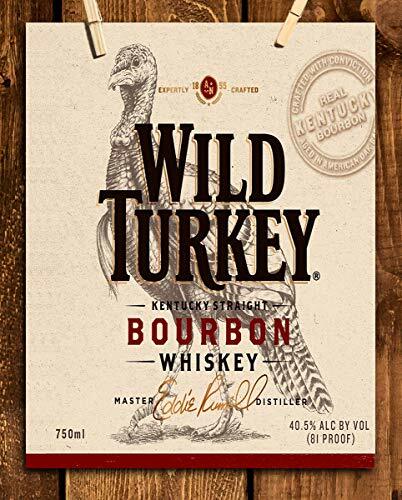 A Must For Kentucky Bourbon Whiskey Fans. 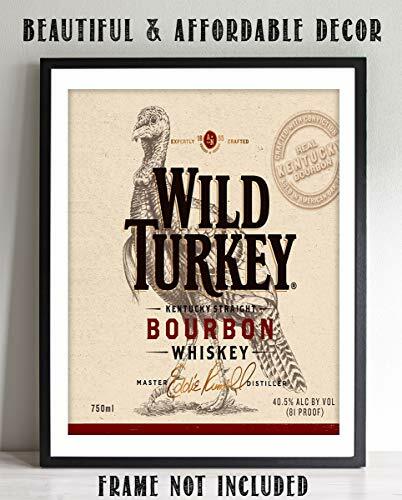 Perfect Addition To Man Cave-Dorm-Bar-Garage. We create and package every piece of art ourselves to ensure the highest quality print for you. That means our labor of love happens right here in Virginia, USA. All of our art prints are created with luster finish Fuji Crystal Archive photo paper. The result is the highest resolution, definition, and clarity possible. THE FUN & PERFECT GIFT! Each of my art prints is packaged in a sturdy cardboard mailer with the loving care of a craftsman so it can be delivered as a prized gift. Its so much fun and easy to match these beautiful prints wall art to your friends and family's interests. Our goal when you open the package is to say,” Wow- that’s Beautiful or That’s Really COOL!”. Our high-quality packaging will protect your art from any possible damage or bending in transit. If it isn’t perfect, please let me know immediately! This print is just one of many we offer! 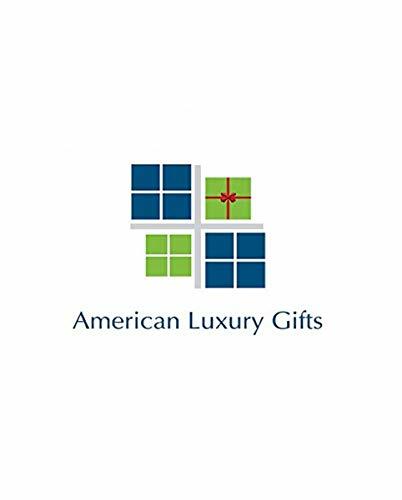 Check out my shop page by clicking “ American Luxury Gifts Prints” at the top left of this page and browse my wide variety – there’s something for everyone! We also welcome any suggestions or contributions of premium art and gift ideas to our ever-growing studio.